Definitely one of our most exciting collaboration to date!!! We have had the privilege to collaborate with the unstoppable SIGMA and the amazing RITA ORA on a great, great song called ‘Coming Home’ produced by no other than the mighty TMS!! Strings Arranged by Rosie Danvers, Strings Produced by TommyD, Performed by Wired Strings. Track produced by TMS, Engineered by Nick Taylor and Recorded at Air Edel, London. 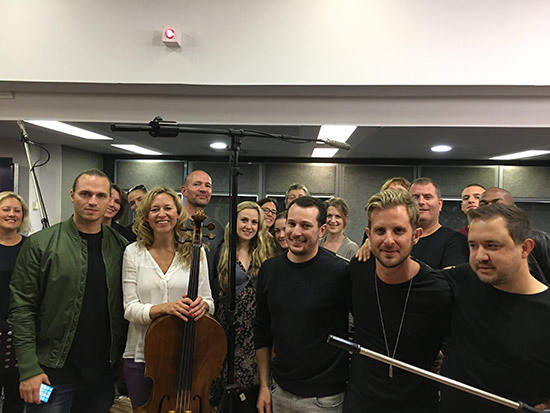 Wired Strings with Sigma and TMS at Air Edel, London, 5th October, 2015.